I am now a mother and my photographs if weren’t important before, are now more than ever. Only the other day, my memory card just froze and ‘erased’ all my photos and short videos. I am really vexed and close to shedding tears daily as most of the photos are of BABY. I tend to take pictures of him on a daily basis and when he does something new, I take a video using the same camera. Got to love digital cameras…! Now, I am trying to recover said files from my memory card and it is a drawn out process. The fact that I will be losing videos of DS attempting to sit down or roll over is too much for me to bear. I won’t stop until there is not other solution or way to get them out of the card. I am to blame anyways as I kept swapping the card between cameras and everything I uploaded the pictures on my computer, I never erased them from the memory card and/or formatted the card. 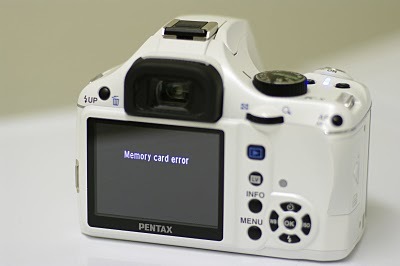 As a result ‘MEMORY CARD ERROR’ everytime I switch on my camera to take a picture or video clip. Well, lesson learnt. FORMATTING top of my list as well as BACKUPS. I found a few articles online highlighting the importance of formatting your memory, which I though I share with you, esp. the parents who are taking precious photographs of their little ones. Just like a wedding, some things can never be repeated to be captured on film. Please prevent this from happening to you.